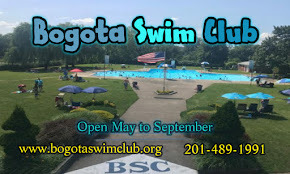 Information about some upcoming happening in and around Bogota in the months ahead. 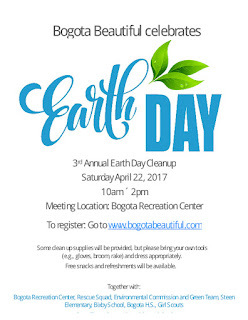 On Saturday-22-April Bogota Beautiful will host their third annual Earth Day clean-up event. 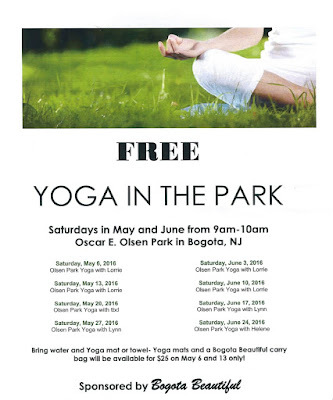 It will begin at 10:00a at the Bogota Recreation Center located at 162 W. Main St. Access to the Rec Center will remain open during the replacement of the Lt Ryan Bridge. This year they are scheduling to work on the West Main St Business district, including spring maintenance of the street planters there. Other area for beautification will include the World War I Memorial at W. Ft. Lee rd and River rd and the Bogota Community Garden. Bogota Beautiful is now accepting sign-ups for anyone wishing to be a Volunteer on this day. The number of Volunteers that sign up will help them plan on how many areas will be work on that day. They are also accepting donations of any equipment to help with the clean up. 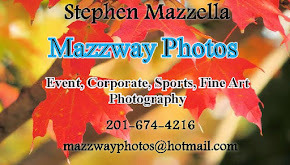 Gloves, hats, racks, shoves, broom, or any other type of lawn equipment will be accepted. They are also looking for anyone who has their own power equipment to Volunteer their services on that day. Anyone with tillers, leaf blowers, power washers and cordless mowers would be welcome. 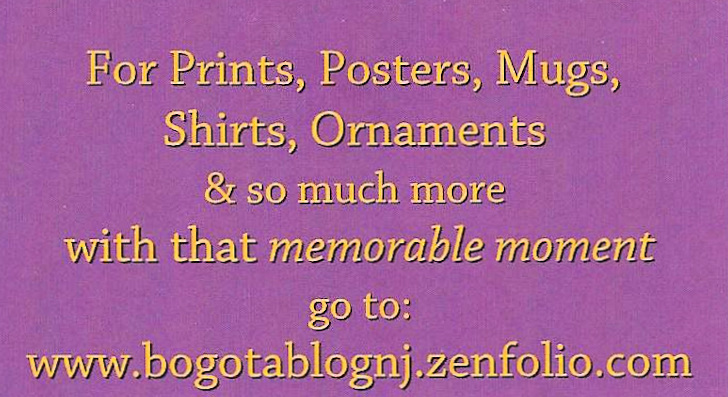 Bogota Beautiful is also interested in any business who would be able donate refreshment for the Volunteers. Water, snack, fruit, and Sandwiches are the primary need to get the Volunteers going on a late spring afternoon. 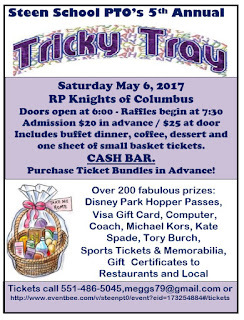 High School and College Student will be awarded community service credit for volunteering for this event. 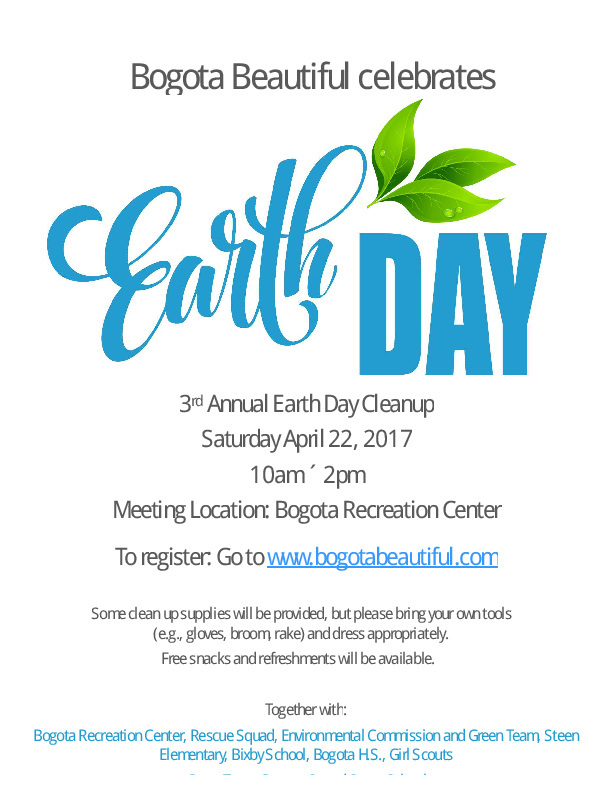 Anyone wishing to be apart of this project is asked to register at: http://www.bogotabeautiful.com/event/earth-day-2017-volunteer-event/. 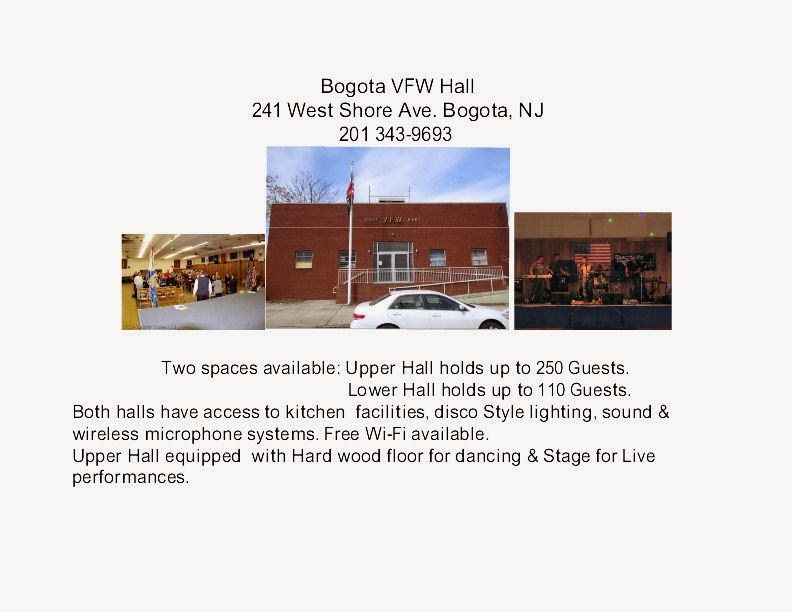 On Monday-1-May The Bogota VFW Post #5561 will host their annual Loyalty Day program.They will award the winners of the "Voice of Democracy" and "Patriot's Pen" essay contest. They will also display the work of the colouring contest for the younger Students. 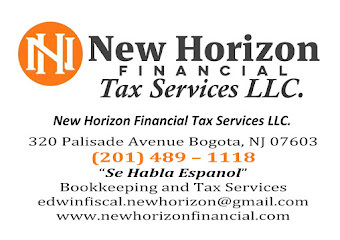 This will be held in the Main Hall located at 240 Leonia Ave Bogota, NJ. This is open to the Public and is a free event. This will take place in the Main Hall and start at 7:00p. There will be a local singing group providing live entertainment and a flag presentation. Then the winners of the Patriots Pen and "Voice of Democracy" writing competition will be announced. The winning essays will be read aloud and the writers will be given their awards. 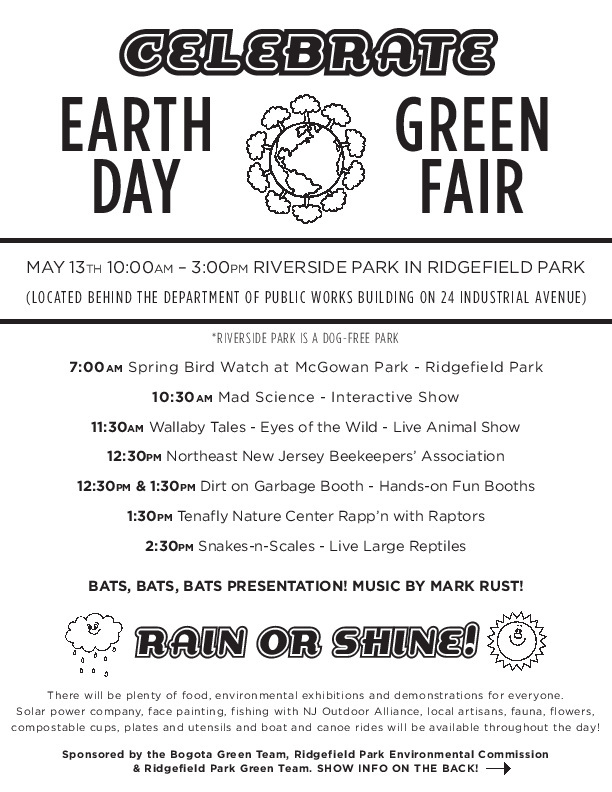 On Saturday 13-May the Village of Ridgefield Park will host their annual Green Fair. 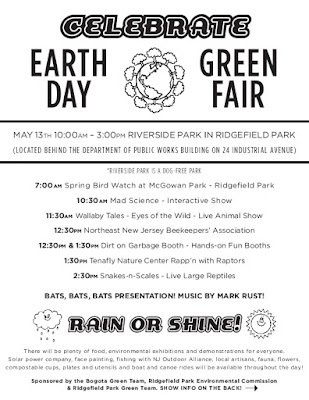 This will be co-sponsored by the Bogota, and the Ridgefield Park Green Teams along with the Ridgefield Park Environmental Commissioner. This will run from 10:00a to 3:00p and is open to the public as a free event. There will be live shows and demonstration along with local artisan displays, food, canoe ride, and fishing demostations. 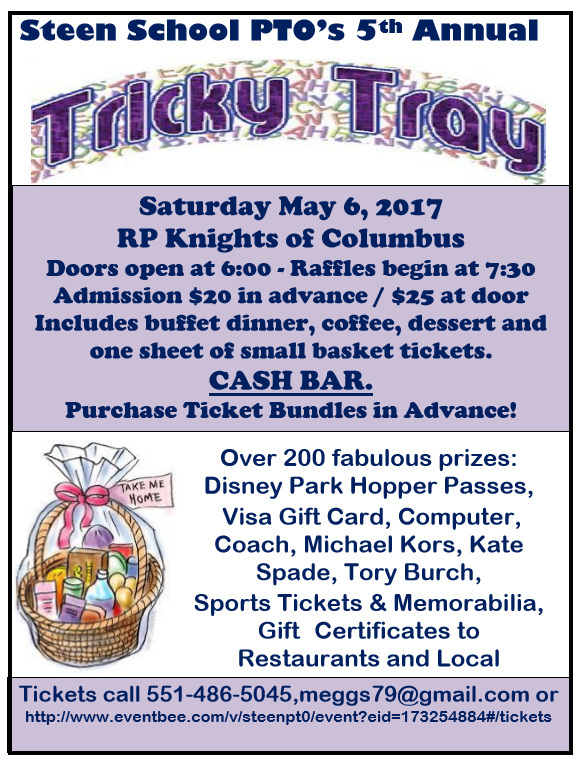 The Bogota VFW Ralph Hall post #5561, and the Bogota American Legion Clifford Dunn Post #117 has announced the schedule for their Memorial Day celebrations for 2016. This year Memorial Day will be on Monday-29-May. The Bogota VFW, American Legion and the Borough of Bogota will hold their Memorial Day Service starting at 11:00a. This will take place in front of Borough Hall located at 375 Larch Ave Bogota, NJ This event is free and opened to the Public. 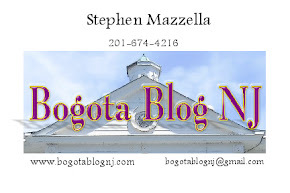 The Bogota Memorial Day Parade will start at Palisades Ave & Cedar St in Bogota. This will kick off at 2:00p The Parade will travel North on Palisade to E. Main St. It will turn left onto E. Main St and cross over the 1st Lt. Albert Graf Bridge to Elm Ave. It will make a right turn onto Elm ave and travel north to W. Grove St. It will turn Left onto W. Grove to Larch Ave. 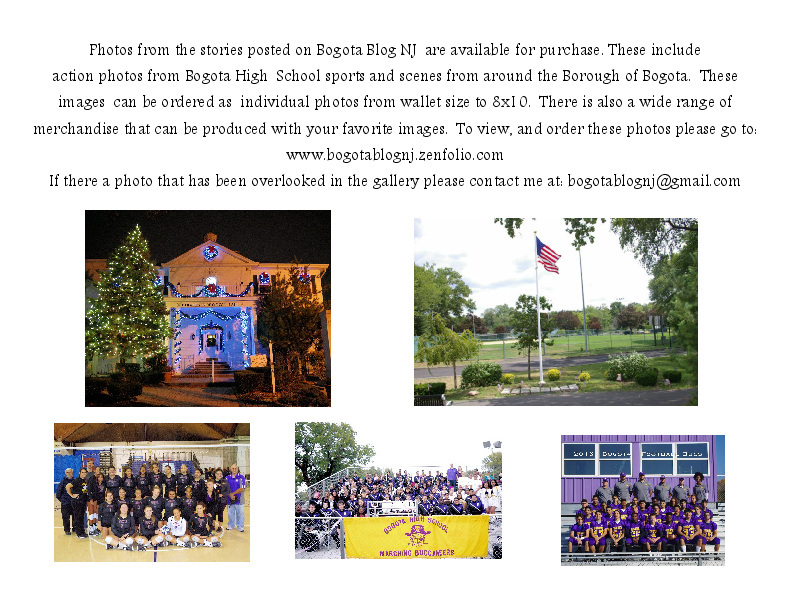 It will turn Left onto Larch Ave and travel South to Bogota Borough Hall and will end after passing by the reviewing stand. Also on that same Monday the Volunteer members of the Bogota Emergency Services Dept. will have their annual inspection. The members, with their equipment, of The Bogota Fire Dept. , Rescue Squad, and First Aid Squad.will line in front of Borough Hall starting at 9:00a. They will then fall in to be reviewed by the Elected officials of Bogota Government. This will included Mayor Chris Kelemen and members of the Borough Council. After the inspection the Bogota Volunteer Fire Dept. will hold their remembrance ceremony starting at 10:00a at the service memorial in Borough Hall Park.